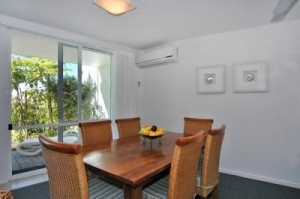 Sunshine Vista Apartments feature well appointed apartments that are fully self contained and furnished. 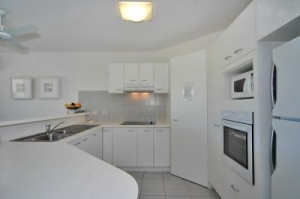 Each apartment contains a large open living area, modern kitchen, two bathrooms and two bedrooms. 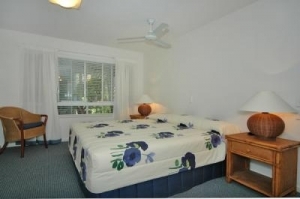 The master bedroom in each apartment has an adjoining ensuite and spa. 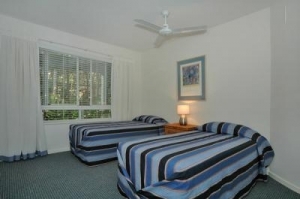 Colour television and video along with dishwasher, washing machine in clothes dryer are all provided in each apartment. 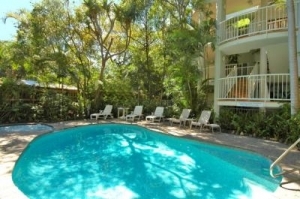 Surrounded by a tropical landscape, these apartments are located only minutes from the golden sands of Sunshine Beach. 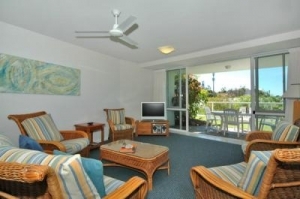 Your Sunshine Vista apartments lends you to an ideal holiday lifestyle whether it be swimming, surfing, windsurfing or bush walking. Robyn and Neil, the resident managers, will ensure your every need is catered for during your stay, and can advise you and book your local tours and attractions.